I don’t doubt that there are some incredibly intelligent, highly educated Certified Professional Midwives (CPMs) out there. I know there are some that have even earned a master’s degree (or even their PhD) in a health-related field. But that’s not because that is required of them. All that is required is a high school diploma. And that wasn’t even a requirement until 2012. The educational requirements to become a CPM are too low. And I can’t get behind that. CPMs only need to attend 40 births total as a part of their clinical training – some births attended as a bystander, some as an assistant midwife, some as a primary midwife, plus the prenatal appointments leading up to it. That’s all that is needed. 40 births total will do the trick. I can’t get behind that. A title as a “certified professional” implies a certain level of competency and training. With Certified Professional Midwives, though, the bar is so low that the level of competency from one midwife to the next can vary greatly. How is this fair to mothers seeking a midwife? If she is looking to hire a midwife, it is implied that hiring a “certified and professional” midwife will mean she is hiring a skilled, competent individual. Yet, that is certainly not always the case. And if a CPM fails to do what is expected of a competent, certified midwife and it leads to death or injury, do not think for a second that she will be the one to be blamed. Nor will the certifying agency who ensured the midwife was competent enough to carry the CPM title be blamed. Instead, the mother will be blamed for choosing the midwife whose skills were not up to par… the mother didn’t do enough research, the mother didn’t make sure her CPM was skilled enough, the mother is responsible. I certainly can’t get behind that. Then there is the straw that broke the camel’s back. And for me, I consider it to be a pretty big straw: lack of accountability. Sure, there will be “bad” providers in every profession. Which is why accountability is crucial, especially in the field of catching babies. A death of a full term baby at a hospital means a review of the case and making any improvements necessary to ensure that if it can be avoided in the future, it will be. If someone is negligent, they will be held accountable from their employer (hospital or practice) and their nursing board, nurse midwifery board or medical board, and in some cases, even the law. Case after case of negligence that has led to preventable death at a home birth has gone without recourse, without a midwife facing any consequences. What on earth does it take to have the title CPM stripped from a midwife? A midwife who doesn’t recognize the signs of a placental abruption? No. That won’t get her in trouble. A midwife who doesn’t recognize that a fetus is in distress and dying in the womb? No, that won’t get her in trouble. A midwife who refuses to allow her client to call for help and refuses to transfer her? A midwife who doesn’t know proper neonatal resuscitation? A midwife who doesn’t know the risk of having low amniotic fluid? A midwife who encourages home breech birth yet misses one red flag after the next which inevitably leads to neonatal death? A midwife who misses the signs that a newborn isn’t getting enough oxygen, which leads to infant death hours after birth? A midwife who ignores a maternal history of shoulder dystocia and encourages home birth and then subsequently ignores the red flags of an impending shoulder dystocia? A midwife who tells her client to use garlic to treat GBS, which does nothing to stop the infant from becoming sick and dying from GBS infection? You guessed it. Those midwives wouldn’t face consequences. How do I know? Because I’m describing real midwives, real births, real babies… and those midwives are still practicing. Who knows how many women have hired these midwives since their negligence led to deaths? Who knows if their negligence has caused more deaths? These midwives were failed by their certification agency (NARM) in their lack of training required to earn their official-sounding CPM title and they were failed a second time when they were not reprimanded for their negligence. 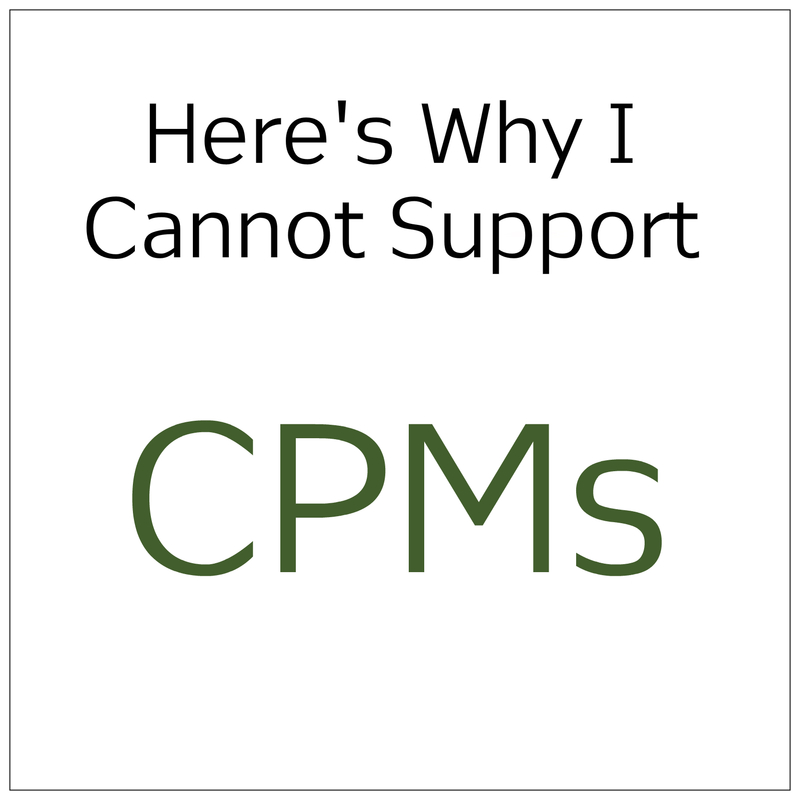 I can’t support CPMs – not a single one. Not because I don’t like CPMs on a personal level. Not because I think CPMs are bad people. Not because I don’t think there are ethical, competent CPMs that happen to be out there. But I can’t support CPMs because this is a systemic issue. The CPM certifying body doesn’t care enough about mothers and babies to strive for higher standards, accountability and better care for mothers and babies. And it really makes me wonder, knowing these things, how could anyone support CPMs?